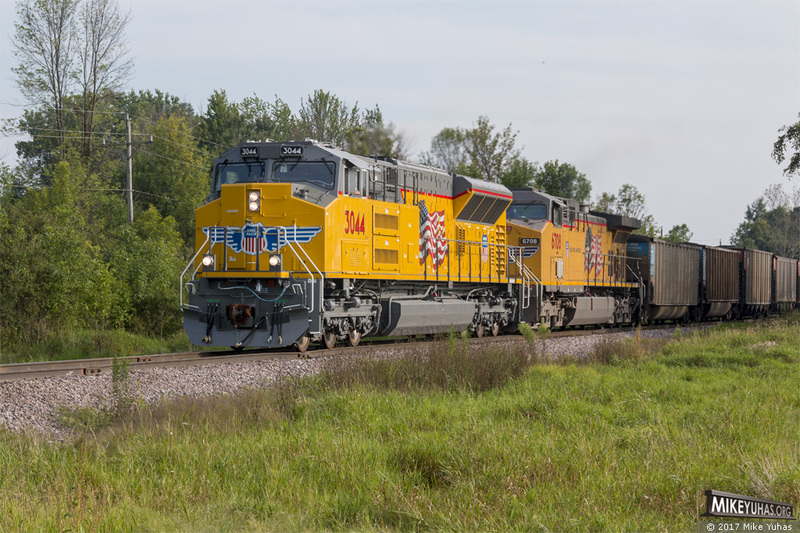 135 loads of coal are headed for Sheboygan on Union Pacific's Shoreline Subdivision near Belgium, Wisconsin. EMD SD70ACe-T4 3044 is in the lead. Judging by the fresh paint, this is surely one of the locomotive's first assignments.